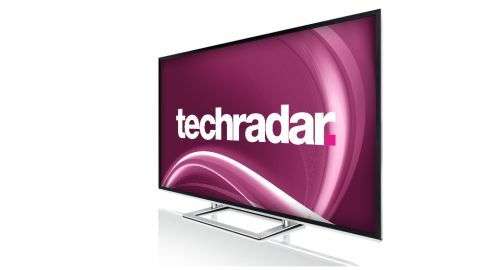 The 84L9363DB is an 84-inch 4K TV selling for half the price of its nearest rival. Despite the 84L9363's uninspiring contrast performance and rather lacklustre smart TV offering, it's hard not to retain at least a bit of a soft spot for an 84-inch 4K TV that can be yours for almost the same price as rival 65-inch models. Sometimes I have to search quite hard for reasons why a TV I'm testing might be particularly interesting. With the 84L9363, though, its USP hits you right between the eyes. Basically, it's an 84-inch TV with a native 4K resolution that you can buy at the time of writing for just £7,500. Incredibly that's barely half the price of the next cheapest 84-inch 4K TV, the LG 84LM960V. Obviously I'll have to be on the look out in the course of this review for the inevitable compromises that must have been made somewhere to deliver such a low price. But on paper at least the 84L9363 has the potential to be the UK's first genuine 4K bargain. Slightly absurd though that sounds when we're talking about a TV that costs a hardly mainstream £7.5k! Toshiba has two other 4K TVs in its current range: the £4,500 65-inch 65L9363 and the startlingly cheap £2500 58-inch 58L9363. Rival brands of 84-inch 4K TVs aside from the aforementioned LG model include the Sony 84X9005A at a whopping £25000 (!) and the Samsung UE85S9000. The latter uses premium direct LED lighting with local dimming and costs – wait for it… £35000. Fair to say, then, that for most people the only realistic competition from a cost point of view for the 84L9363 will be a 65-inch 4K model like the Sony 65X9005 or Samsung UE65F9000. But of course, 65 inches is no 84 inches. At 65 inches you're talking about a TV. At 84 inches you're talking about a home cinema display. And let's not forget, of course, that in the 4K/UHD world the bigger a screen you can lay your hands on, the more impact you're likely to get from native UHD resolution playback. The 84L9363 doesn't make a big deal out of its screen size in design terms. Its black frame is fairly slim, focussing you on the acres of screen rather than unnecessarily exaggerating the set's already considerable physical presence. The contrast of the black bezel with a silvery bottom-edge trim adds a nice little touch of pizzazz, too. Connectivity is strong, keeping pace with the majority of other 4K TVs we've seen to date. Four HDMIs get the ball rolling, all built to the v1.4 standard to support the TV's passive 3D playback capabilities, while the sort of multimedia features we now expect from a high-end TV are serviced by a pair of USB sockets (for playing multimedia from USB drives or recording from the built-in Freeview HD tuner to USB HDD), an SD card slot (these remain annoyingly rare in the TV world), plus both integrated Wi-Fi and LAN network connections. These network jacks can either stream multimedia from DLNA PCs or take the TV to Toshiba's Cloud TV online content platform. One key limitation of the 84L9363's connectivity is its lack of support for the HDMI 2.0 standard. This means it can't handle native 4K sources at higher frame rates than 30Hz without compromising on the colour resolution of the source. But it's hardly alone in this regard; so far only Panasonic has produced a 4K TV with a true HDMI 2.0 socket able to deliver 60Hz 4K images with full 4:4:4 colour sampling. Toshiba's Cloud TV platform shows signs of promise – especially as the 84L9363's configuration avoids the extreme sluggishness witnessed with the system on cheaper Toshiba TVs. We quite like the way a series of avatars are used to recommend different types of themed content from the upcoming TV listings, for instance. And the provision of an electronic programme guide app for your phone or tablet that lets you surf TV listings on that rather than on your TV is very welcome. However, the 84L9363 comes a cropper with its online video platform support. You get the BBC iPlayer, Deezer, BBC Sport, BBC News, Blinkbox, YouTube, Viewster, KnowHow Movies and Netflix along with a few more niche offerings, but at the time of writing there's no Lovefilm, no ITV Player, no 4OD, and no Demand 5 – all of which are available on Samsung's current Smart TVs. Also a misstep is Toshiba's decision to slap a big Twitter window right at the heart of its main smart TV screen, despite the fact that – as Twitter is wont to do – the feeds that appear there tend to be rife with unfilterable profanities any kids in your household will doubtless lap up. Shifting focus to the 84L9363's 4K resolution, it has the predicted 3840x2160 pixel count, while the heavy-duty processing required to upscale HD and even standard definition sources comes courtesy of Toshiba's CEVO technology. This should provide enough power to enable the TV to create all the necessary extra pixels to upscale in real time without generating many unwanted artefacts. Toshiba thoughtfully provides a couple of options for fine-tuning the 4K processing system, one focussed on reintroducing fine textures to 4K sources and one devoted to reintroducing the brightness that tends to get removed from sources during the video compression process. Also interesting is a Resolution+ feature that claims to be able to boost the sharpness of native 4K content as well as upscaled HD! We'll look at this more closely later. The 84L9363 carries an extremely comprehensive suite of picture adjustment tools, including enough colour, gamma and white balance management facilities to secure the set the backing of the Imaging Science Foundation (ISF). In other words, you can pay an ISF engineer to come round your gaffe and calibrate pictures so that they're optimised for your specific environment. Wrapping up the 84L9363's features are an AMR800 800Hz-like processing engine devoted to reducing/removing motion judder, and the passive 3D system I alluded to in the connectivity section of the review. Taking the passive approach means you won't get to see 3D in full – albeit upscaled - 4K resolution like you can on the Samsung F9000, Panasonic 65WT600 and, oddly, Toshiba's own 58L9363. However, on the upside passive 3D on a 4K TV does mean you get to see genuine full HD resolution 3D (rather than the resolution-compromised passive 3D pictures you get on normal HD TVs) without having to worry about the crosstalk ghosting noise or flickering issues still fairly commonly witnessed with active 3D TVs.